I’ve been doing some research on Google Images Traffic and have found that there are some generalities about google images traffic which are known but there seems to be a lot missing. Maybe I’ll get enough information about traffic from google images and it will be important enough to put together a small report or video series. The one thing I know about getting traffic from Google Images is that it works! It’s different from the standard organic search, but nonetheless it gets eyeballs on your websites and blogs. So it makes sense to understand how we might be able to optimize our images the best way possible and then how we can use that information to gently guide google and bing to our blog and website images…… and thus our webpages where they hopefully will take action by either opting in or purchasing our goods and services. I read quite a few small reports and blog posts on Google Images Traffic, each one had a tidbit or two which would increase your chances for raising your images up in the serps. Since most people aren’t specifically focusing on google images as a source of traffic the information regarding its effectiveness and exactly what to do is a little spread out. 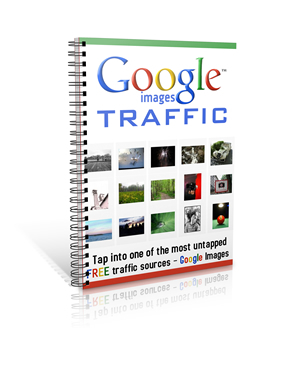 This book, Google Images Traffic gives you the basics and is a good read…..I would start with it. I’ve got a big surprise for you. I ran into the mother-lode of information about Google Images Traffic. Adam Short from Niche Profit Classroom cranked out a video on how much traffic he’s been able to get from google images. He discusses images and how to get original images for your site. He talks about naming the images along with the various tags and labels that can be read by the search engine spiders. I think the video is about 20 minutes, I was going to shrink it down to 10 minutes but I would have had to edit out a bunch of great material! He even goes through his Google Analytics showing what percentage of images are searched for……very good for future planning of your site and shows areas that it would pay for you to invest a little more work……just a small part of the teaching at Niche Profit Classroom 3.0! I have a membership at Niche Profit Classroom and would highly recommend it. Surprisingly the membership accommodates both newbies and those marketers who have some knowledge and understanding under the belt. I’ve joined many PLR memberships and Niche Profit Classroom is so much more than just a PLR membership. Let me put it this way. If you can’t use the PLR materials along with the training to start making money online then you need to quit. There is so much available in terms of training. You get videos, webinars, audios, tools, monthly packs, an active support forum…… not to mention 2 full complete PLR packages already researched for profitability. I truly believe that Niche Profit Classroom gives you the best chance at success online. ……….Once you achieve success here you can move on to other projects and your journey with internet marketing will be profitable and exciting. Once you’ve created a website you should think of driving traffic to it. You can come up with anything to attract people to your website. You begin to dig the internet, read “drive traffic” articles, try them, invent and try new methods, some of them work, some don’t, again come up with new ideas and so on. And naturally the number of visitors to your site is always low. One of such known techniques is creation of XML sitemap and its submission to Google. With help of this Google indexes the webpage faster, consequently keeping more pages from your site in its cache, ready to present those to your potential visitors at any second. The importance of XML sitemap is long ago tested and proven, though there were some opinions of skeptics, according to which, its vice-a-versa and XML harms the website. However, all those opinions finally and once for all were proven wrong. Check out Google Images Traffic for more image info! It was not by accident that I spoke about the usability of XML Sitemap, thus now I am going to talk about its one type-Image Sitemap’s efficacy. You have probably noticed that the traffic to your site was brought not only by the Google’s search results, but from Google Image’s search results as well. People attempting to find one picture, found it in your website. So, have you ever considered that you could bring more traffic to your website with the help of images? That is, to somehow help Google index more pictures from your website, so that in the future more people find pictures on there and become visitors. There hasn’t been such opportunity until now; it was only left to hope that Google would index the images. But now, Google declared that it is possible to add images to your existing sitemap. Earlier, when there was an image URL in your sitemap, Google was bragging about it in webmastertools, instead, now even encourages it. Consequently, question arises-how to add an image in your already created sitemap. Of course, you may open a Sitemap file and manually add that information, using text editor and learning XML language. But what if there are more than 1000 URLs? In this case of course this process needs to be automated. Looking for appropriate tools and trying to find programs that create nearly 5 or more types of sitemaps I stopped on Sitemap Writer Pro program. There I found a very useful tool, which lets you to add images to primarily created Sitemap. The usage is quite simple. Downloading the program from this location: http://www.sitemapwriter.com/downloads/SitemapWriterPro_5.1.1_Setup.exe, installing and set to work. Click on Open button and select our sitemap file. In the opened Sitemap Type menu we pick Google Images and straight to OK. We see our URL list and empty information- Quantity, Image location URL, Caption, etc in front of it. This all concerns the image information. And now, the most magical moment. By clicking Ctr+A, we select all the page of the sitemap and click on add Image button. The program automatically starts adding all the pictures of each page to a Sitemap file. Here, we’ll see that the program is adding design elements also, which are quite unnecessary for us. For that, there are few parameters offered, with help of which you may add only images that are indeed are necessary. Do you want tons of FREE high quality traffic? I am sure, you do! – NO special images required. – NO special photoshop skills required. – NO need to take your own images. Just be able…. to follow simple instructions! get this one of a kind images traffic system. If you have a website or blog you already know that images increase traffic and keep people on your site or blog. Everyday people use Google Images to find and search for interesting images. This simple book teaches you how to take advantage of google images to deliver untapped traffic to your blog. 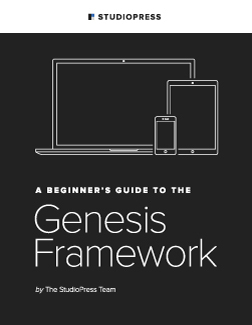 It’s not a big book….but this report is packed with “to the point” methods and tricks to get your images optimized so they show on top of the search engines. Use this book and the Google Images traffic to get more traffic to your website or blog or use it if you do work for clients. Google Images is a hidden goldmine of traffic and if you can get a few images in ranked, you can just direct the traffic! Why does this work so good? Here’s the key….not everyone has images on their sites. Furthermore, have no knowledge of image optimization and therefore their images simply aren’t optimized. There’s nothing tough or complex about getting traffic with your images, however, you must know what Google and Google Images is looking for. Google Images Traffic gives you the code you need to optimize your images and tells you exactly how to use it. It may seem a little strange at first, but you’ll catch on fast and it will be rewarding to see your images turn up in the google search for your keywords and keyword phrases. Maybe you don’t know what you would do with the extra traffic. Well, Google Images Traffic will even give you some hints on how to monetize you new traffic. You might even be a newbie or have been lurking around forums trying to figure this internet marketing stuff out. You’ll find some quick tutorials on how to properly research and buy a domain, set up a wordpress blog, use Google Trends to pick a subject that is guaranteed to give you traffic and how to use that information to post your first blog with your first images. It really doesn’t get much easier. Actually, I skipped some details. You’ll get a link to a awesome looking free newspaper type template and 3 essential (free) seo plugins together they exponentially get your images indexed and ranked on top of the search engines. The author says the offer is open to the first 250 people only, so you need to hurry, before it’s late. Honestly…..I have no idea how long he plans on keeping the price so low…but if you hurry you can pick it up for peanuts.